First, tell us a little about yourself: who you are, etc. 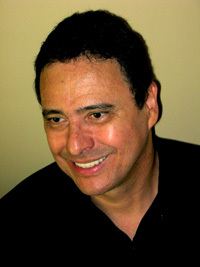 I was born in Mexico City and have lived in the US working as a computer engineer and executive since 1983. Essentially empty nesters, my wife, Rita, and I reside in Atlanta. Our daughter, Tania lives in California with her husband, where they both work as graphic designers and comic book artists, our son Derek works as a software programmer, and our youngest son, Alex, has just started college. What got you interested in writing fiction in the first place? Who are some of your influences? Also, who are some of your favorite writers, past and present? Also, what are some of your favorite novels of all time? What are you currently reading, what have you just finished, and what do you plan to read next? I’ve just finished reading Supreme Courtship by Christopher Buckley. Actually this is the first novel written by this author that I have managed to finish. I didn’t particularly care for two of his previous novels, Boomsday and Florence of Arabia (although I did enjoy the movie based on his novel “Thank you for Smoking”). I am also attracted to the field of Artificial Intelligence, and so I do like to read books on linguistics. In this genre, I am particularly appreciative of the books by Steve Pinker. For my next book, I’m reading The Nine, and Musicophilia by Oliver Sacks. Do you plot first, then write, or write and come up with the plot as you go? What are some of your writing habits/rituals? 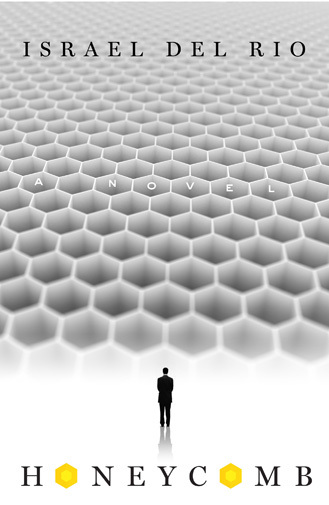 Honeycomb is a novel revolving around a very interesting form of reincarnation. Can you talk a little about this and where you came up with the honeycomb? Actually, the idea emerged as a result of two memories of mine. In one, I recalled being given the choice to select my next life, and in the other memory I was told some details from my previous life. I felt these memories could be presented in book form and used as the anchor for the telling of an interesting story. Since the honeycomb deals with a religious idea--or at least one that is represented heavily in religion. How much did current and past religions--stories and all--influence your presentation of the honeycomb? I realize that the concept of reincarnation is one held by many eastern religions; however my idea was to approach the possibility of life after death, reincarnation, and our global connectedness more from a scientific perspective. Rather than following religious traditional view that God created the Universe, I think recent discoveries in physics and cosmology leave room for the opposite possibility, that it is God who is being created by the evolution of the Universe; and not the other way around. Continuing with religion, I think the one thing you've managed to do rather well with honeycomb is bring a little understanding of religion as a whole. It seems like you aren't trying to paint a picture of any particular religion. True, there are elements that might be seen as part of religions that exist today, but you ground your "world" in the reality of inter-connectivity. Can you talk a little more about religion, not in how it influences your work, but in how it is woven into Honeycomb and perhaps the world around us, and how you are presenting it to the reader? Even though I was born into a Catholic family, I’ve never really subscribed to any particular religion. Respectfully to those who believe otherwise, I am not a big fan of religion and in particular I am especially turned off by those who use religion to espouse extremist worldviews. There seems to be this belief that God has to be connected to some form of religion. I don’t see the two as intertwined. If one defines religion as the observance of certain rituals and the belief in certain religious canons; whether codified in the form of books or chants or other traditional means, then I believe it is possible to believe in the possibility of God without the necessity of following any particular religion. One of the things I found really interesting about Honeycomb is how the narrative moves in a circle. Your main character--who remains a nameless spirit of sorts--begins where he ends up. How did you go about planning the narrative structure? Did you find it difficult to do, or did it come naturally? In my earlier drafts I did not have this concept of circularity and I began my story with the character finding himself in an ethereal Honeycomb. The problem with this type of beginning was my test readers found it too metaphysical and dry. It did not allow them to establish any sort of emotional connection to the main character. The result: the beginning of the novel was not engaging enough. My daughter (who happens to be quite an accomplished writer) recommended that I start the book with the main character in the physical world, remembering the events that had happened to him. This allowed me to not only better ground the story, but it had the fantastic side effect of having the narrative come around full circle; thus creating a meta-message as well! Additionally, each of your characters--the lives that your main character experiences in his "search" for a new life to live--are connected, though the main character doesn't realize this at first and neither does the reader. Eventually, though, we start looking for the connections before they're announced, almost like we're solving a mystery. What were some challenges in writing a story with characters so connected? As I was narrating each of the potential lives, it suddenly occurred to me that I could reinforce the idea of inter-connectedness by having each of the characters appear in the other’s narratives. Frankly, the whole concept came to me very naturally, in a flash. The only challenge from a plot perspective was to make certain that all the diverse timelines, geographies, and story-points were lined up properly. One of your characters is a Native American and goes through a series of his own trials regarding his life and beliefs. Did you do any research on Native Americans, or did it come naturally? Can you talk a little about how this character fits into our narrative and how he influences your other characters, spiritually and otherwise? Being Mexican, a certain percentage of my heritage and genetic makeup is Indian; so I do believe that the worldview of the Indian character came to me naturally. My idea was to have each character represent at least one core worldview or value that could be contrasted with the others. The tycoon represents materialism, while the Indian, at the opposite spectrum, represents spiritualism. The other characters represent love, emotion, and pragmatism, respectively. What do you hope people who read your work will take away with them when they've finished? That there is more to life than what we perceive as reality, and that one should always allow for the possibility that there are other levels of existence; that we should look after our spiritual side; not just our material needs. Can you talk a little about your experience with the publishing industry, if any? What made you publish Honeycomb through non-traditional channels? What do you think are some things that should change in the publishing industry that aren't (perhaps you have opinions regarding eBooks)? I think these days if you are not already recognized as a popular author, or lack the personal connections needed to engage an agent or editor, or aren’t prepared to write a romance novel, the odds of getting published are astronomically low. The thing that most surprises me is that if you go to any book store you will see a significant number of books that are being produced like fast food for direct commercial profit, and many others whose low quality makes one wonder how they got published at all! Thanks to the emergence of self-publishing, readers with broader minds and enhanced curiosity can benefit from many alternative voices. This is the way of the future. If the publishing industry does not come to terms with the true impact of the Internet and the need to open the channel to emerging voices, they will suffer the same impact that the recording industry is experiencing due to the emergence of Indy music available via web social sites and eCommerce sites such as I-Tunes and Rhapsody. What other projects are you currently working on, if any? I am finalizing my first draft on a book entitled “Technology Transformation—Trials, Techniques & Tribulations” As you can surmise from the title, this is a nonfiction book and is more closely related to my actual day job as an information systems executive. Still, I am applying some of the tricks of the trade from writing fiction to make the book a more interesting read. In the meantime, my next fiction book is taking shape in my mind. It will deal with how the energy from the spiritual realm affects our daily lives. It’s a similar theme to that of Honeycomb, but it will show the linkage between materialism and spirituality not only in the after-life but also in earthly life. Now for a completely random question: If you had to choose one super power that was really lame (like the power to vacuum the carpet or the power to instantly dress yourself), what power would you choose? I would love to have the power to be in other people’s minds, not to read their thoughts as such, but to be able to truly understand their views, emotions, and perception of reality. I can’t imagine there could be anything more valuable than the power of empathy.